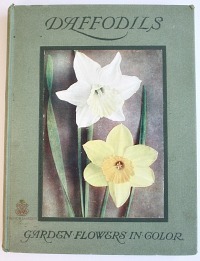 Green cover with a pasted down color illustration, this book features 8 color plates of doffodils, blank on the reverse. 116 pages, an appendix in the back of species, varieties etc. 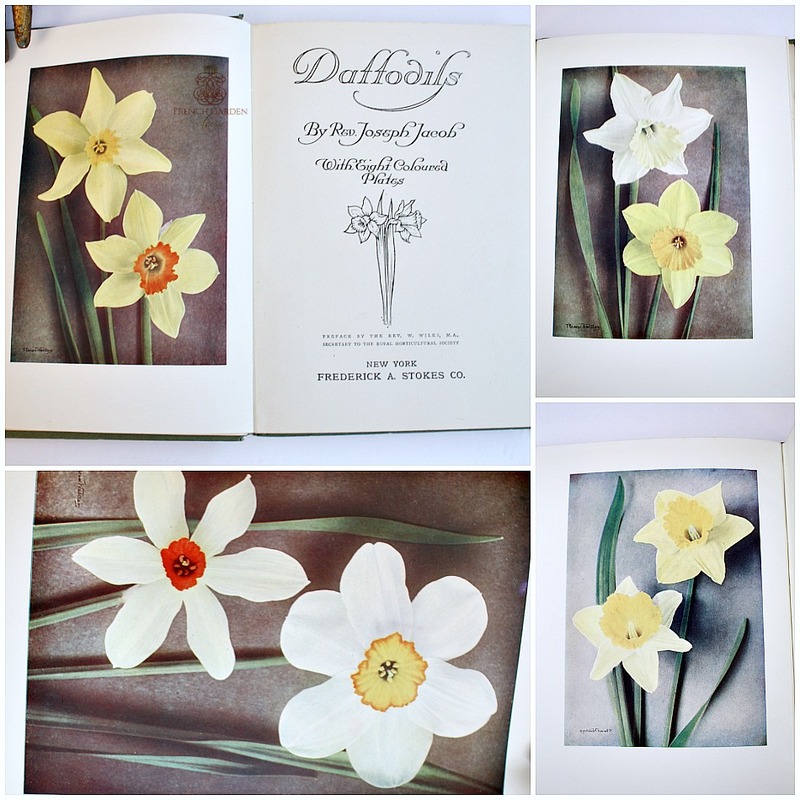 In good condition, these books were loved and well-kept by an avid gardener. Pages were hand cut, there is some foxing here and there. A true treasure for your gardening collection, to display with your antique books, your tools, in your sunroom or potting shed.